Customers are more aware and educated today than ever. They have set expectations of products, services and the overall experience. In this day and age, no doubt that customer centricity is driving business strategies. As a result, supply chain operations need to evolve as well, to a more Customer Centric Supply Chain. As the name suggests, a customer centric supply chain is designed to focus on customers, putting their needs and experiences at the center of it. It is not just “demand-driven” anymore. You need to study your audience, their preferences like order channels, lead times, delivery methods etc. and align them with your operations. It is quite common for a business to offer different channels to place orders like e-mail, telephone, and even social media. In fact, customers now expect it and even want their orders to be fulfilled different ways. This means that you may have to partner up with a 3PL provider or other transportation companies to manage their fulfillment. Understand what your customers want, the market gap, and your organizational resources to be more customer centric. Moreover, set realistic standards for your customers and be accountable to them. 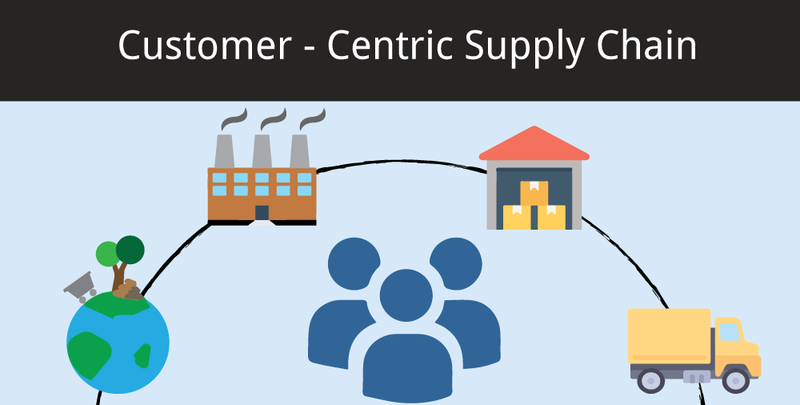 In order to create a customer centric supply chain, aim to make your supply chain visible. What orders are coming in and how to prioritize them? What products do you have on hand versus how much is in transit? There’s a lot of considerations across your supply chain. Thus, collaborate with your key stakeholders to gain real-time visibility. Leverage that to be more reliable for your customers. If they trust you to deliver on your promises, enjoy repeat purchases and more revenue. A big part of making your supply chain more customer centric is being able to forecast what they need and when they need it. Data is key here. This includes POS data from retail stores, warehouse shipment data, returned merchandize, and even shipping and delivery times. Every node along your supply chain creates useful data and it is important to capture it. Use it to forecast demand and supply fluctuations and that can help you become more agile and flexible to meet customer demand. Find an ideal platform that will integrate with your current technology to offer insights. In conclusion, supply chains around the globe need to move away from the only goal of reducing costs. The business landscape today demands them to transform and be more agile. However, it’s important to realize that this transformation is not a quick one. In fact, it will be a process that needs every stakeholder to be on board and commit to it. Interested to learn more about Supply Chain? Click here to see how Clear Spider can help. Next:Infographics Series: So you want to Manage your Inventory ? Drop Shipping for your eCommerce Store? Here’s what you need to know. Is M-Commerce Just as Important as E-Commerce?